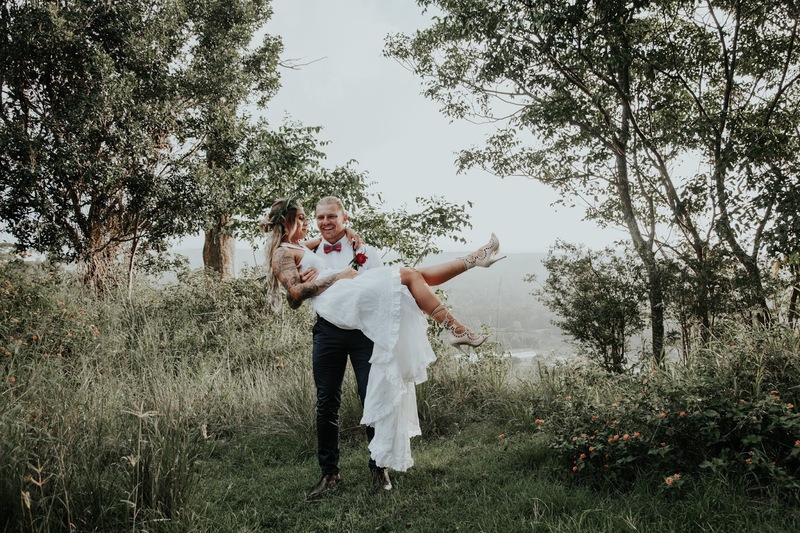 Emily and Alexander decided on forever after they had been in love for four years and seven months. 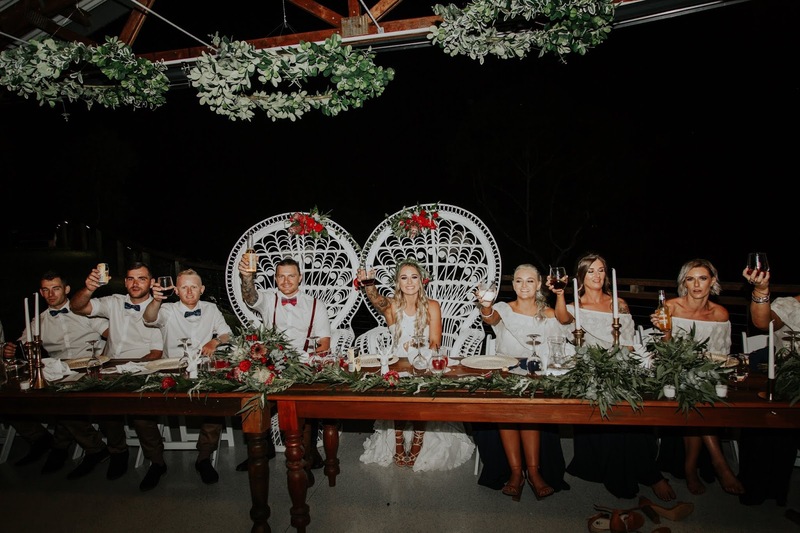 Emily tells of the perfect proposal - after a yummy Italian dinner, they had taken a walk along the jetty on the bay and Alexander popped the question and Emily said yes! 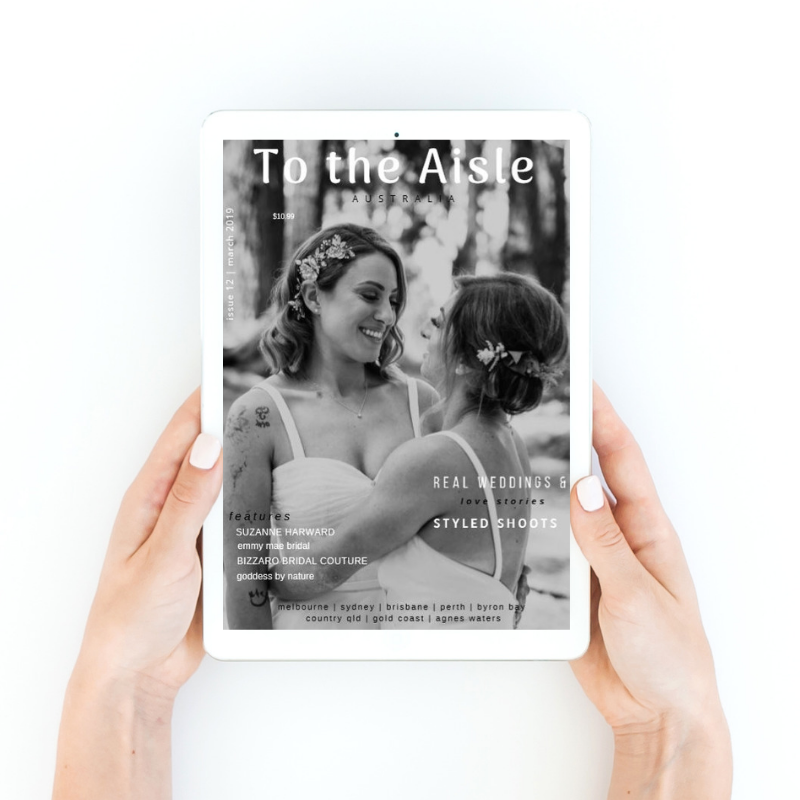 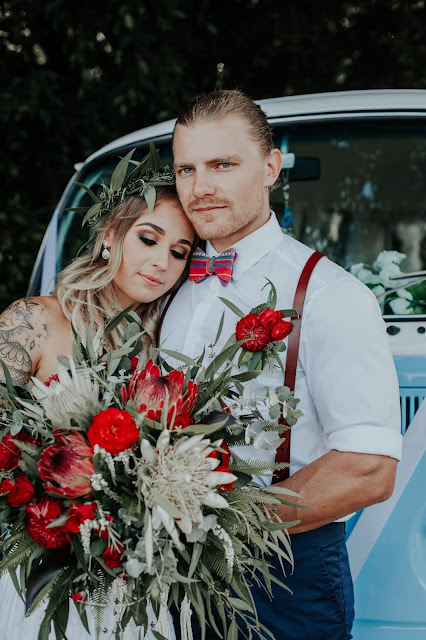 The lovebirds were engaged for two and half years and wanted to choose a Wedding day theme that truly reflected them as a couple. 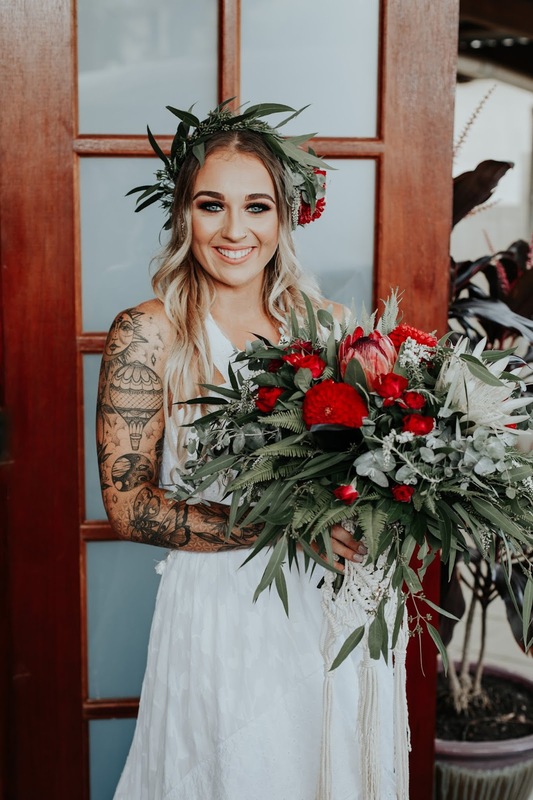 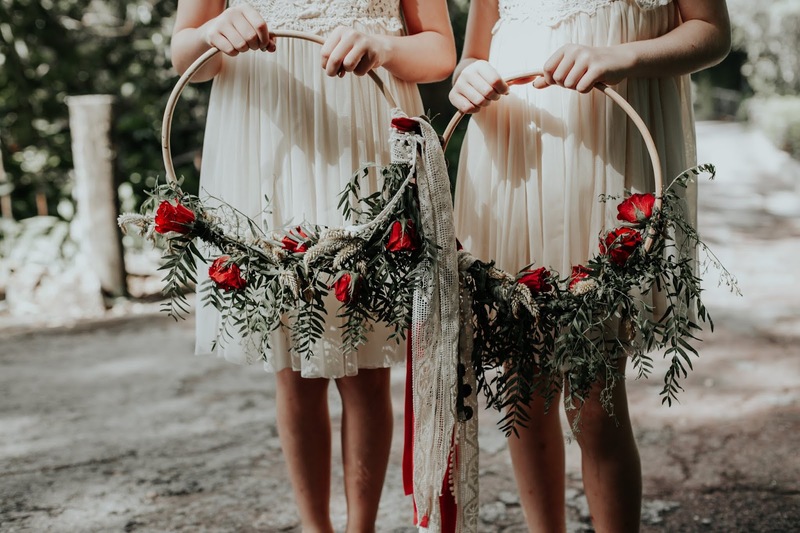 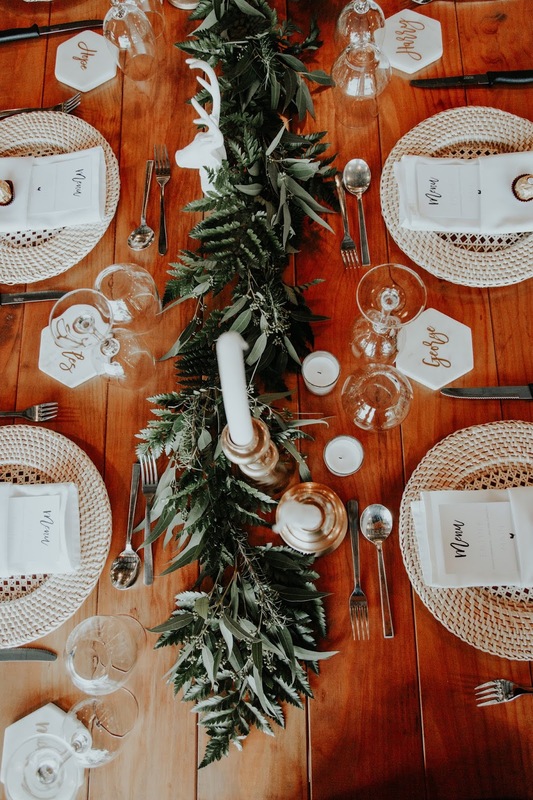 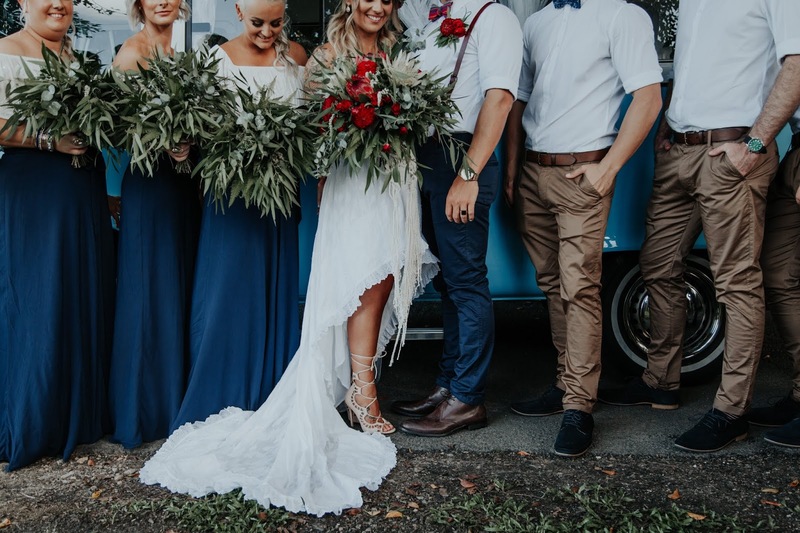 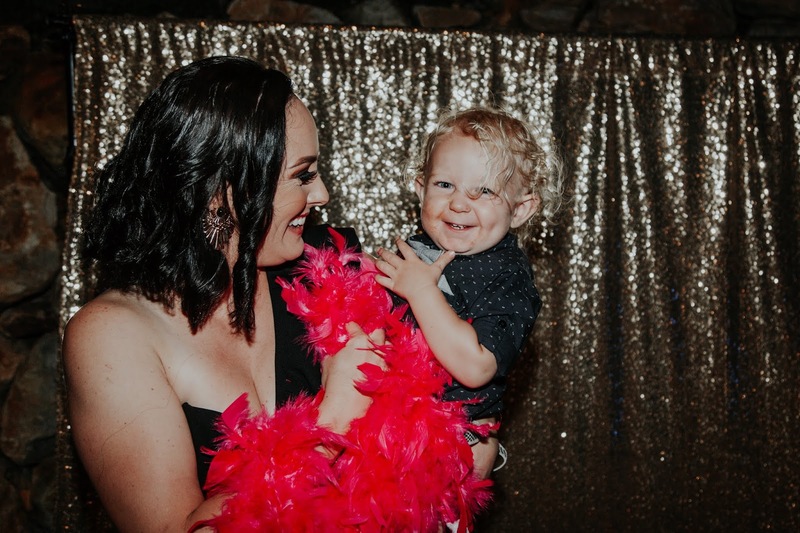 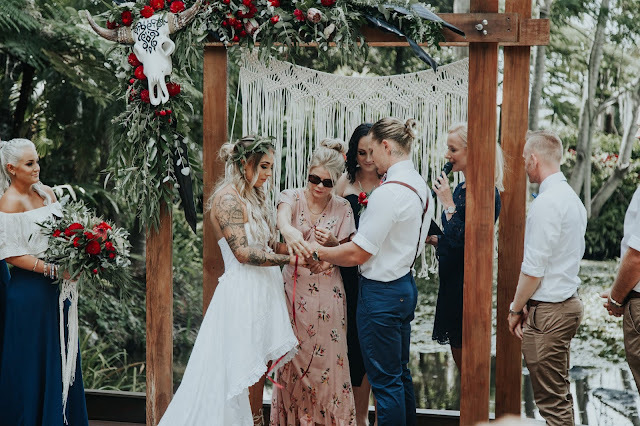 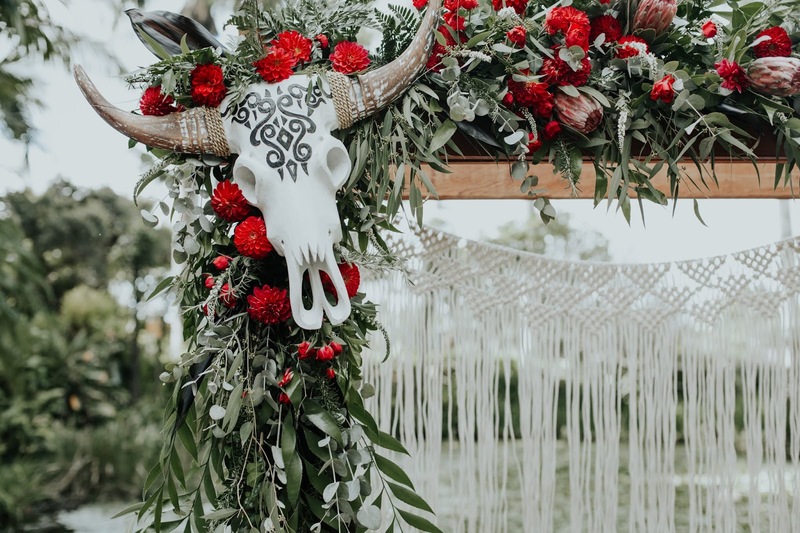 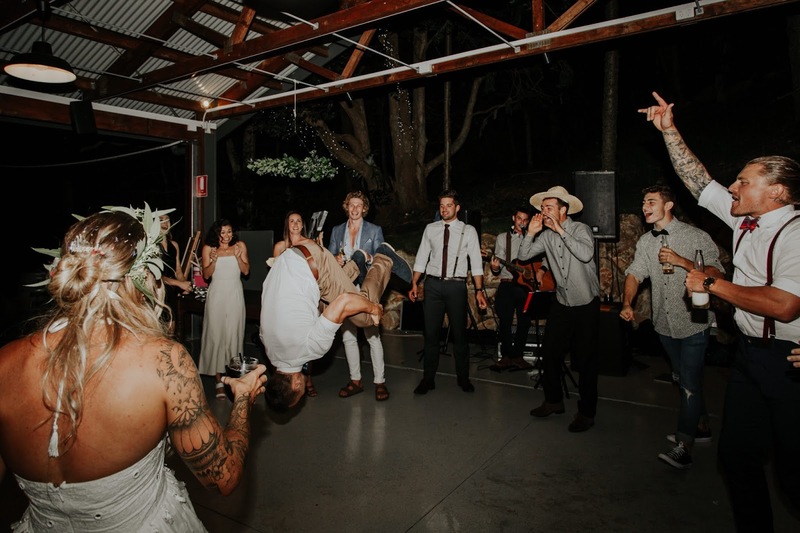 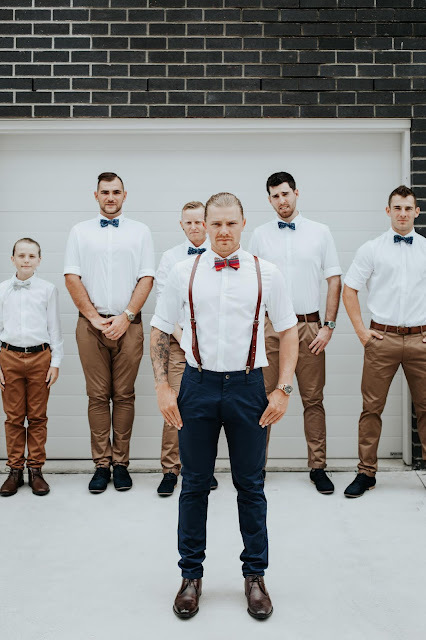 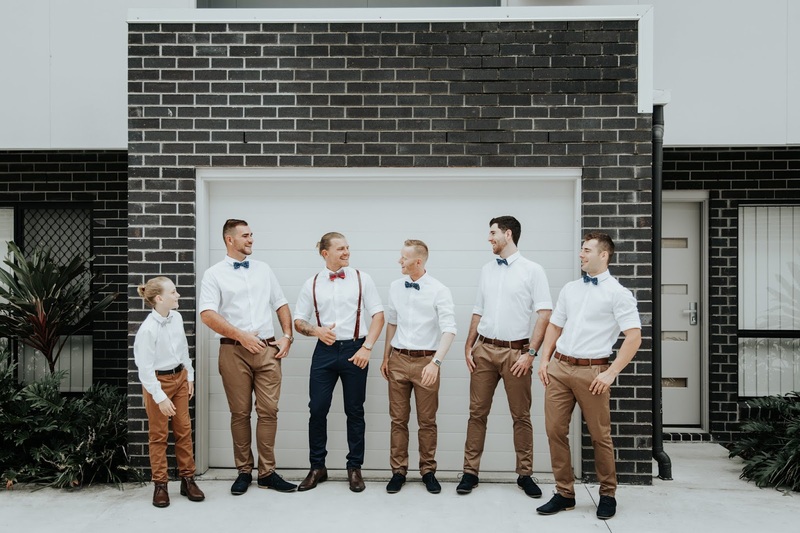 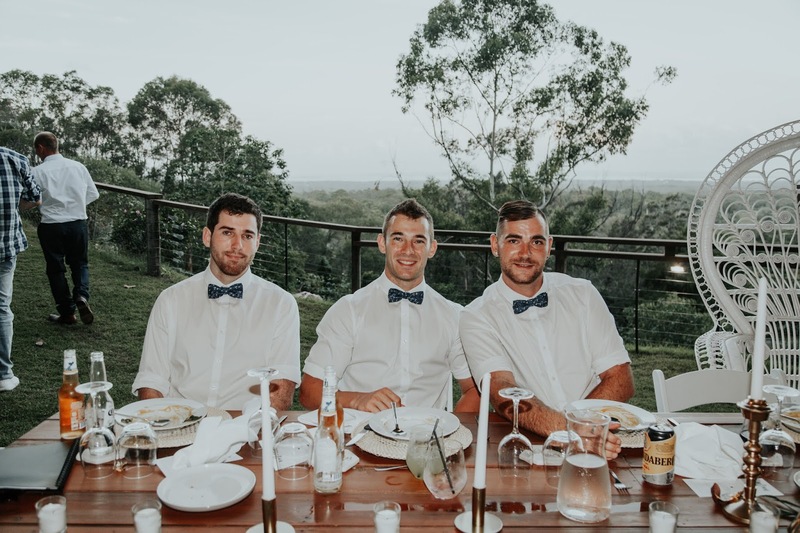 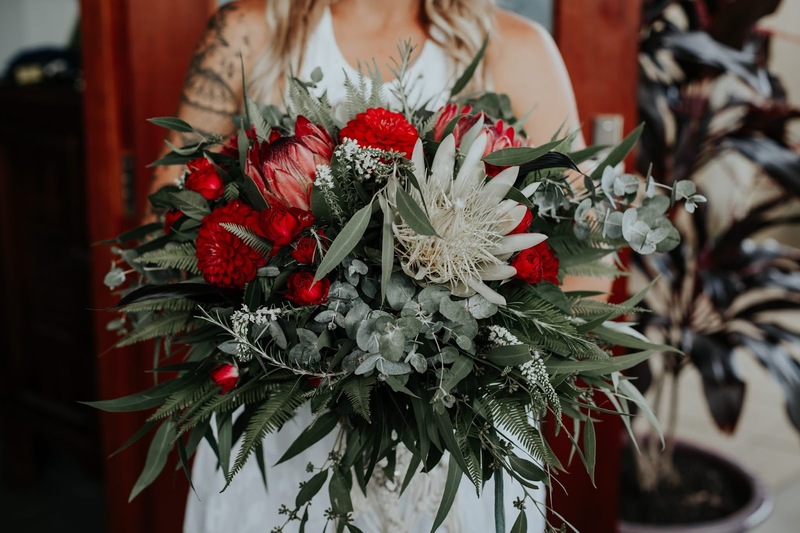 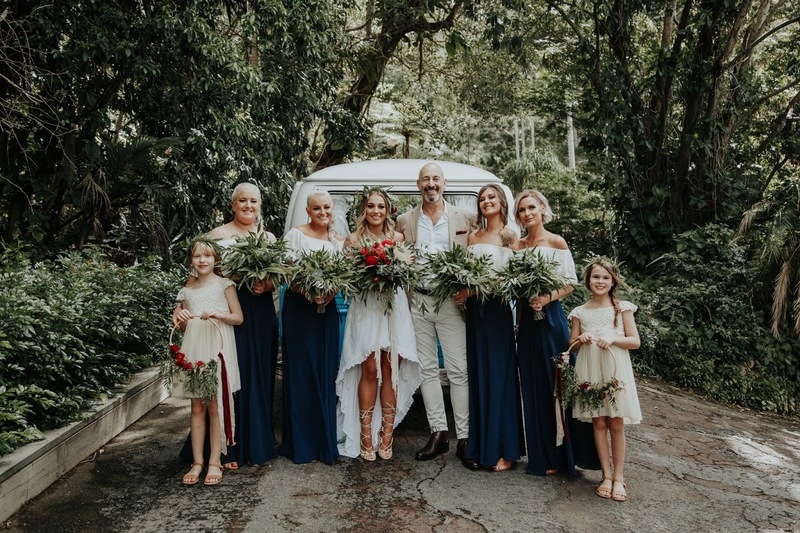 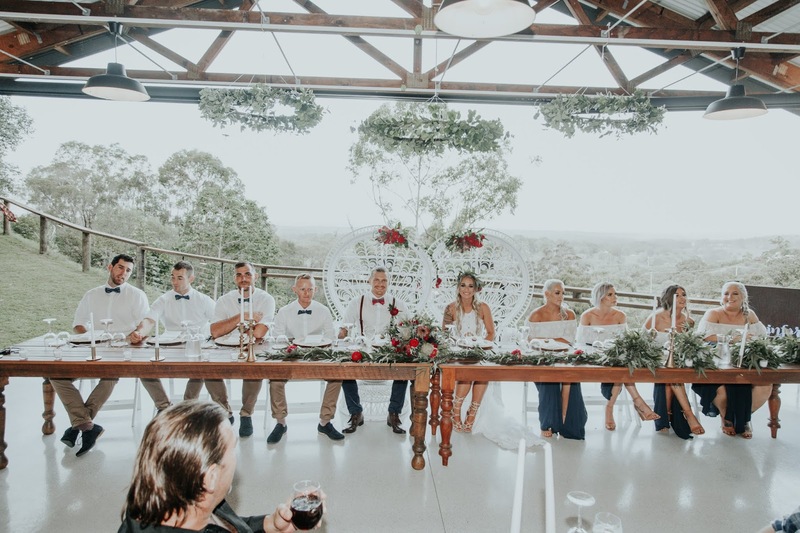 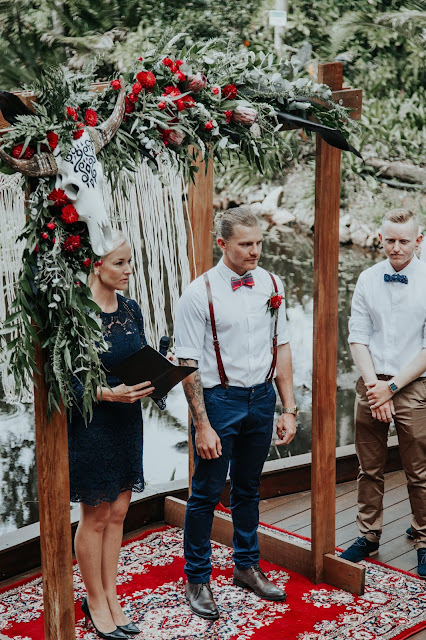 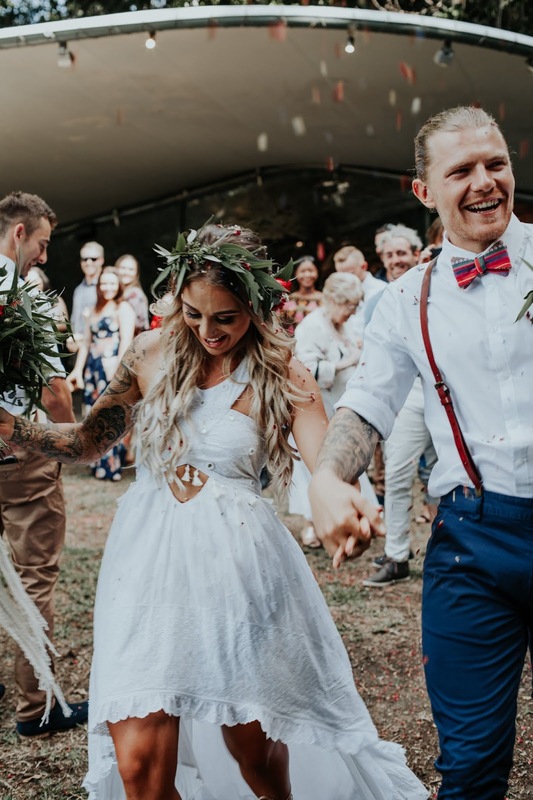 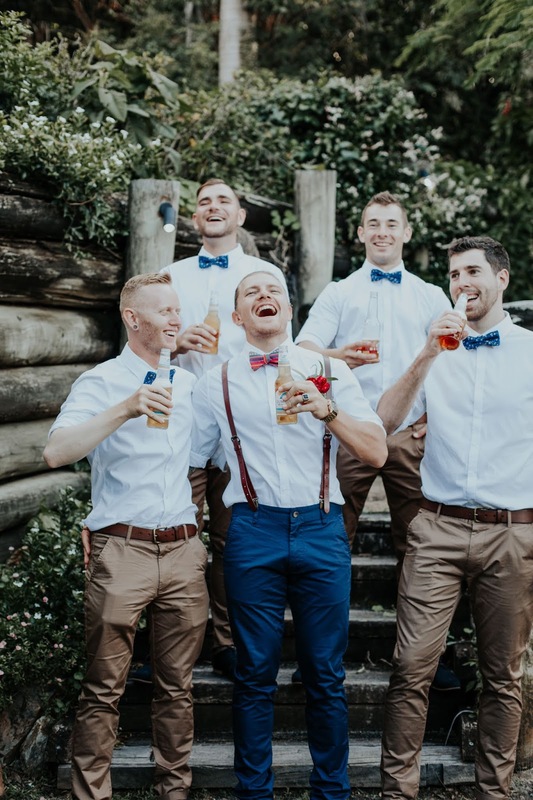 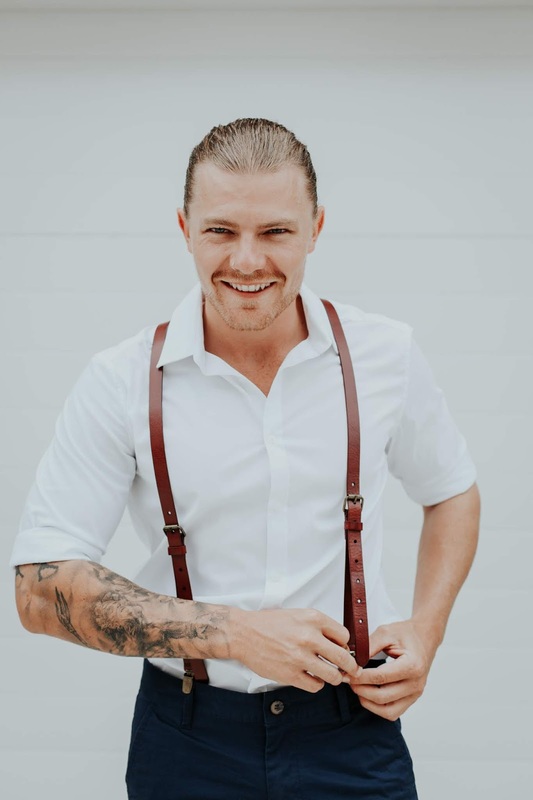 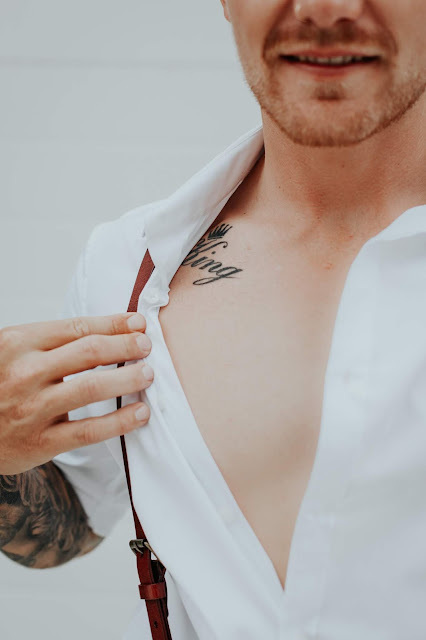 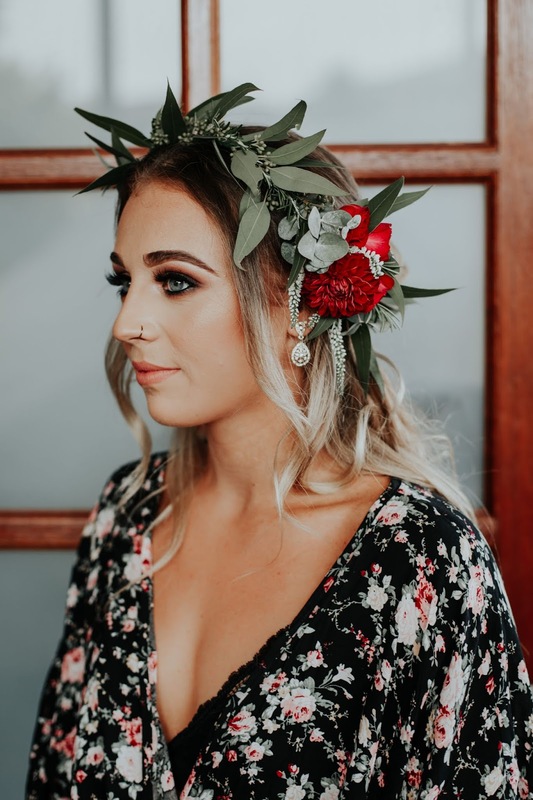 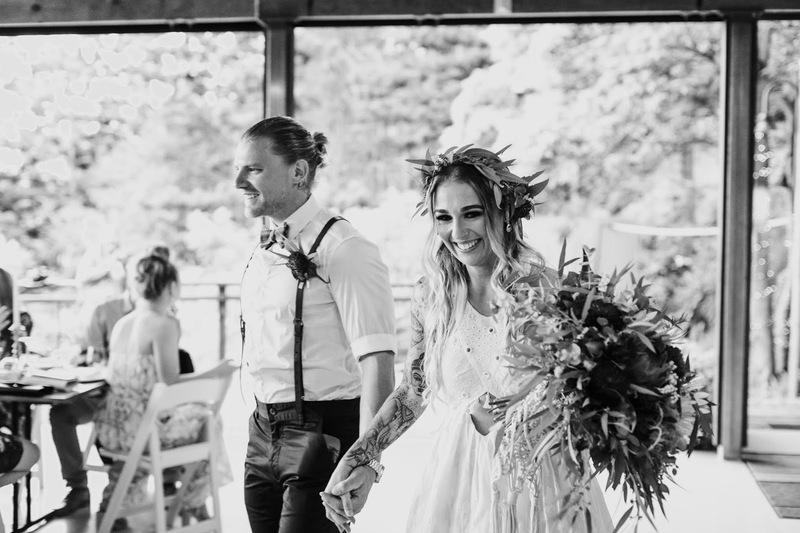 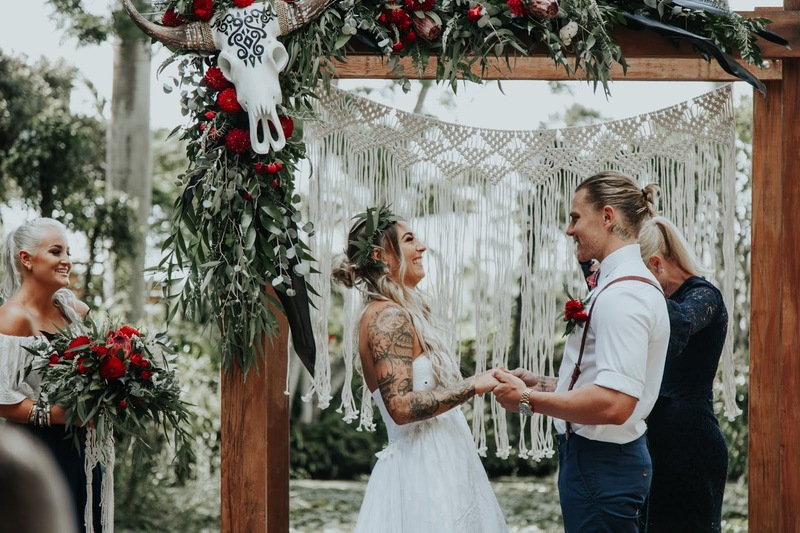 A bohemian forest theme showed their down to earth personalities with added pops of colour throughout the bouquet and grooms tie and the use of gold on their reception tables to incorporate their fun, free spirited hearts. 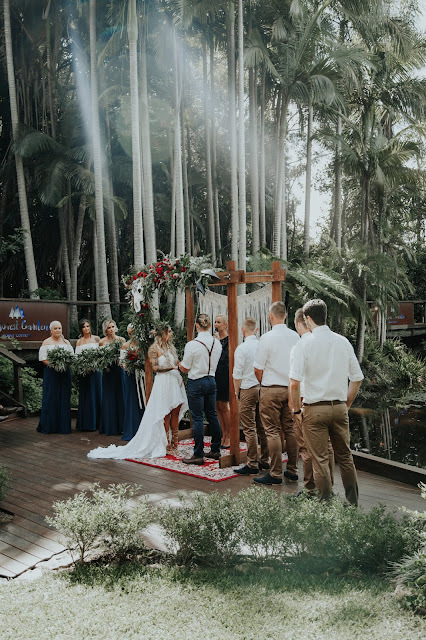 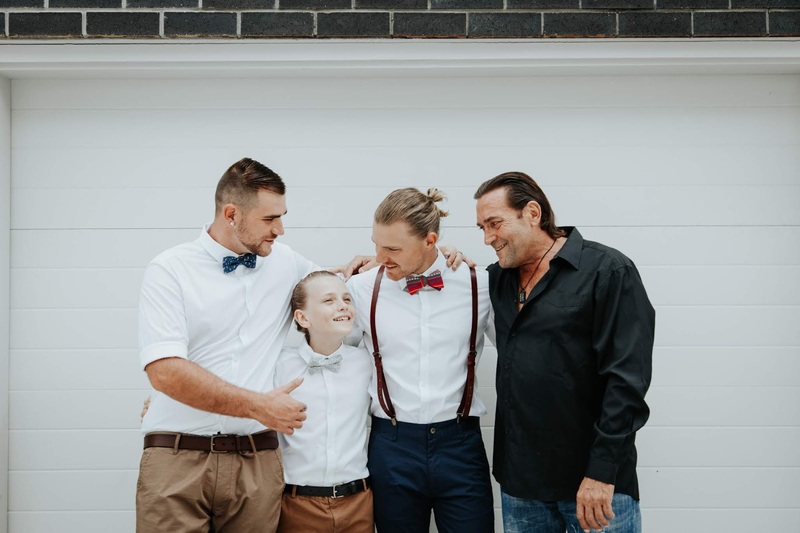 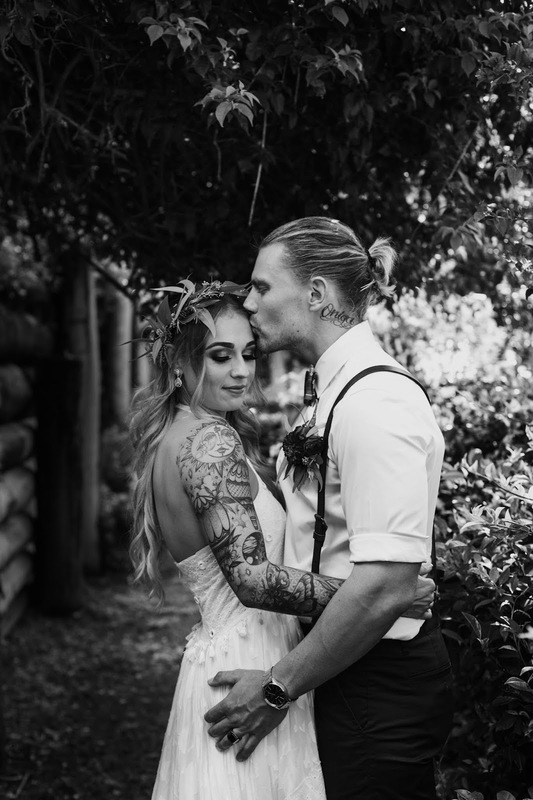 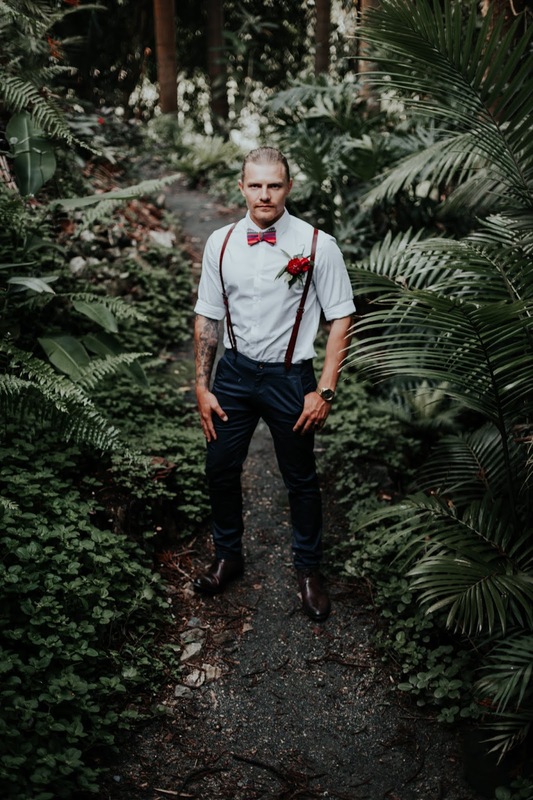 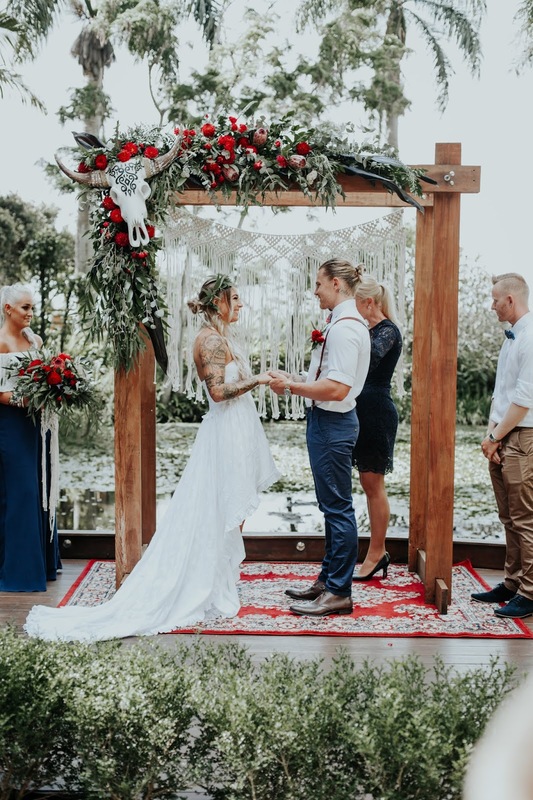 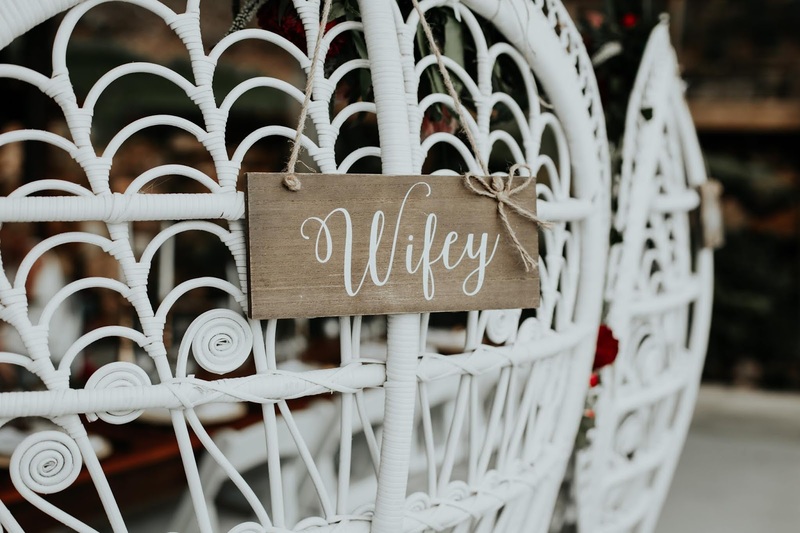 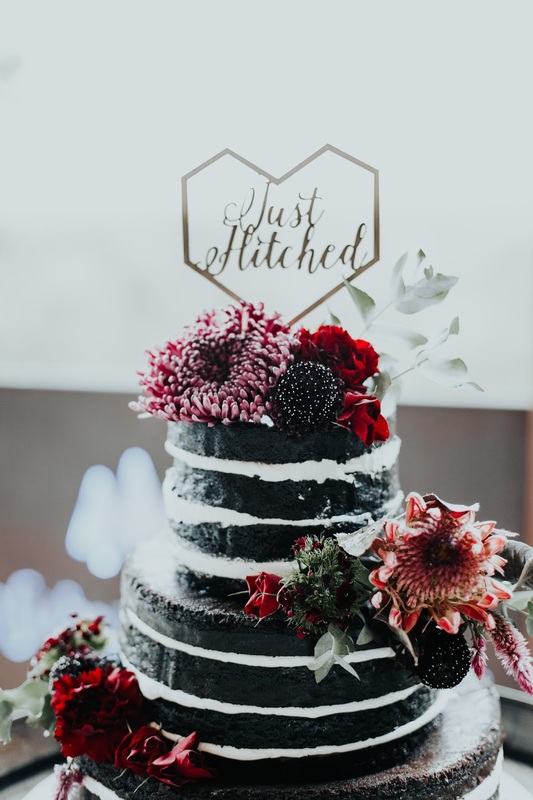 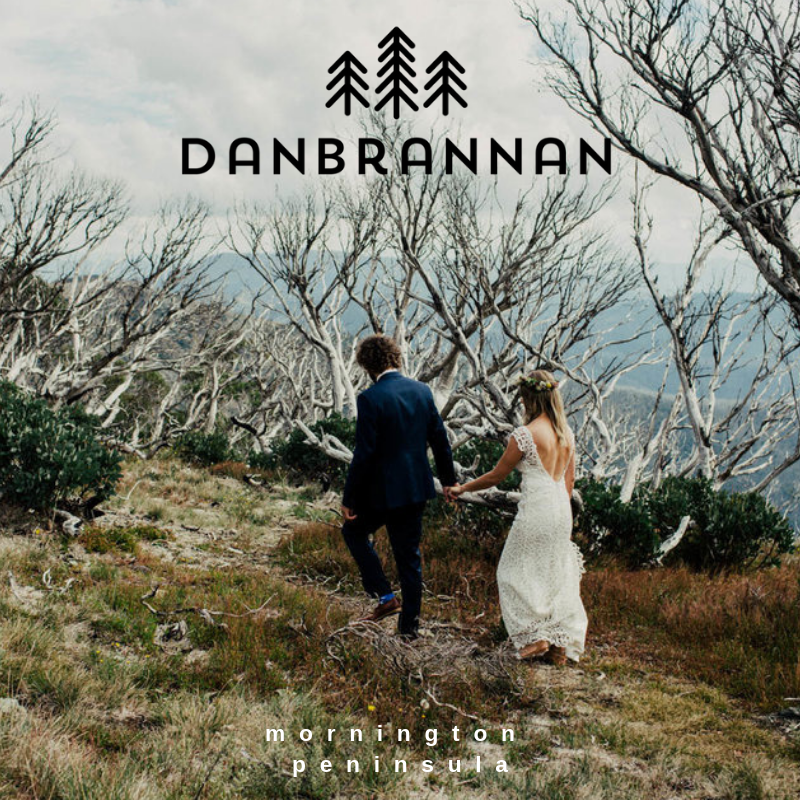 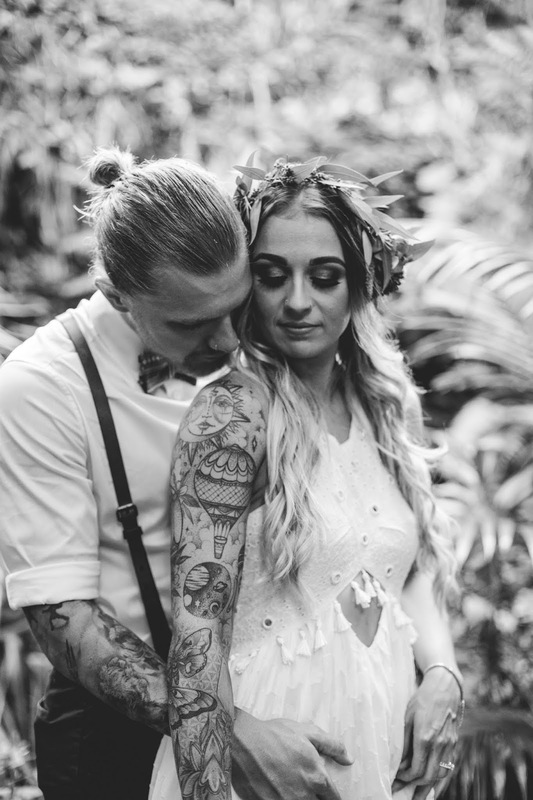 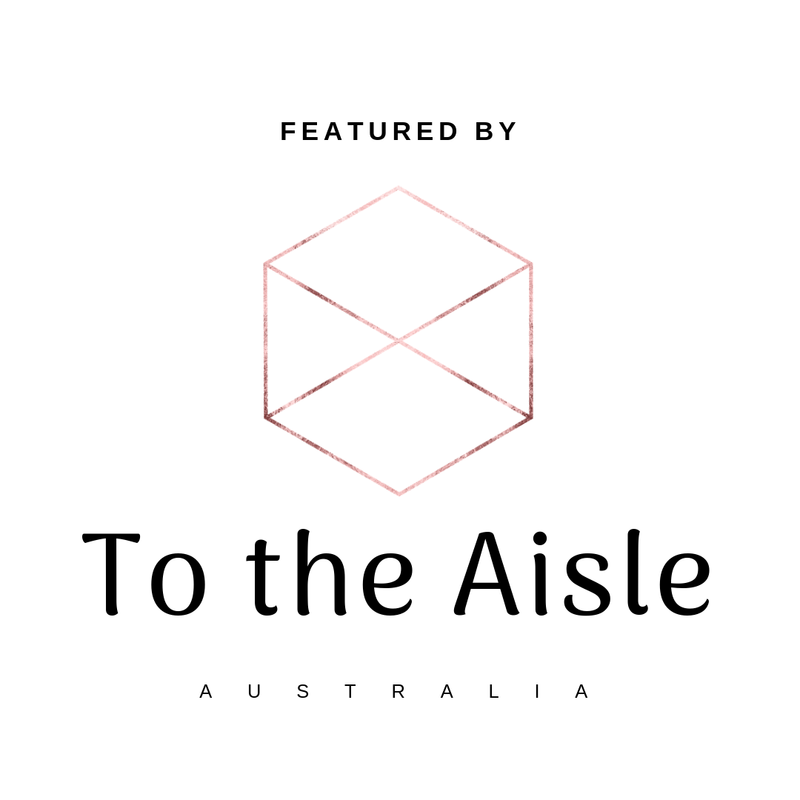 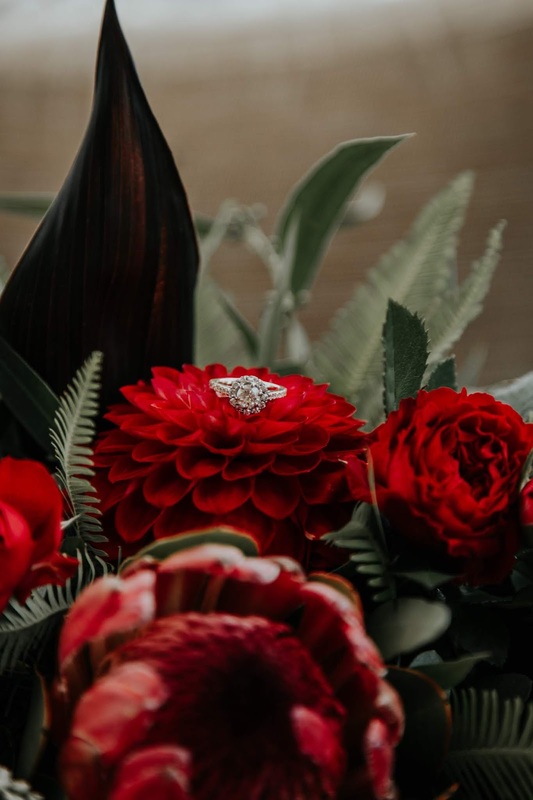 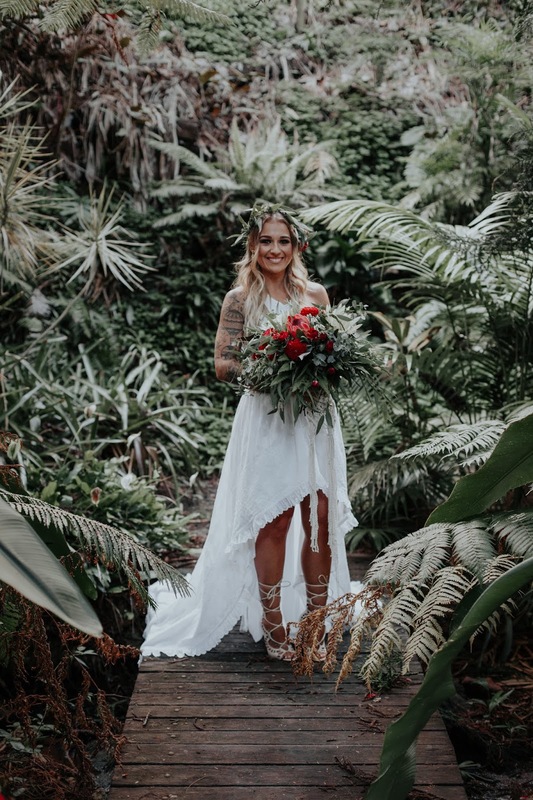 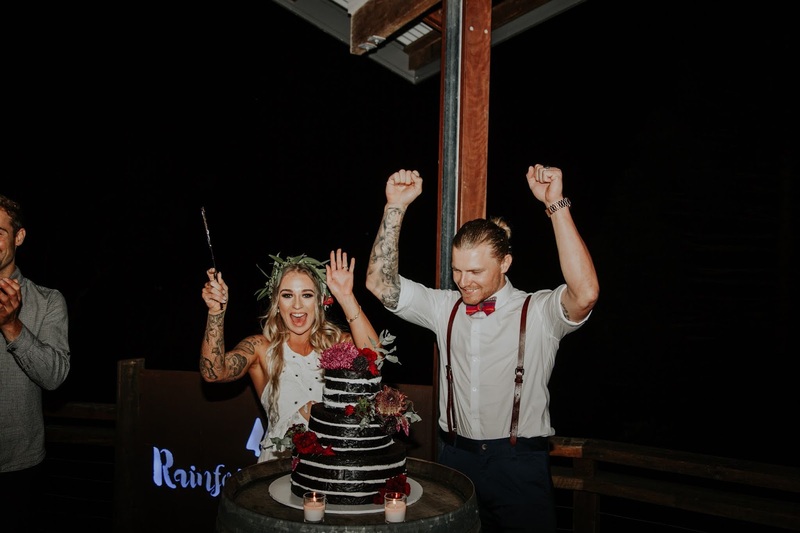 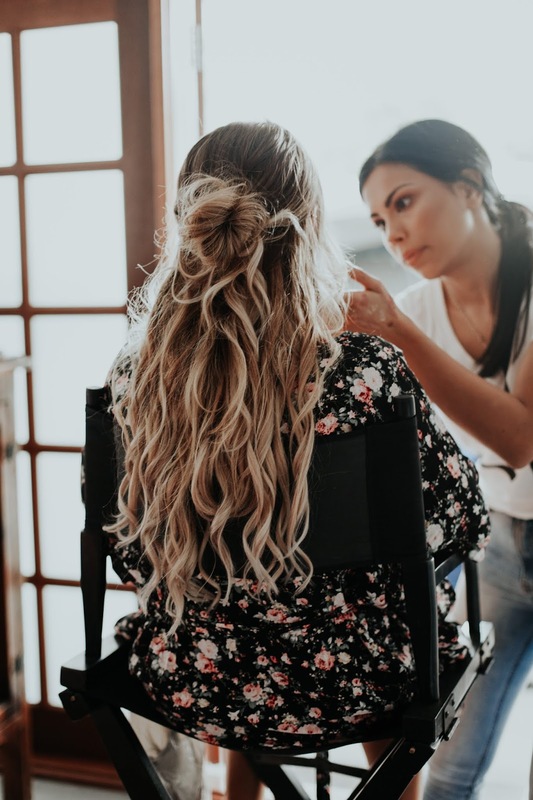 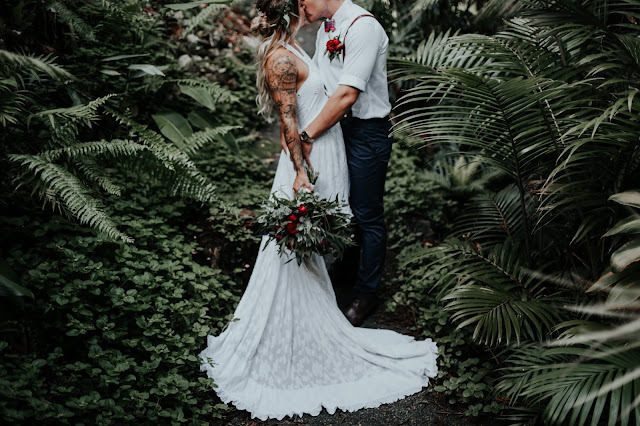 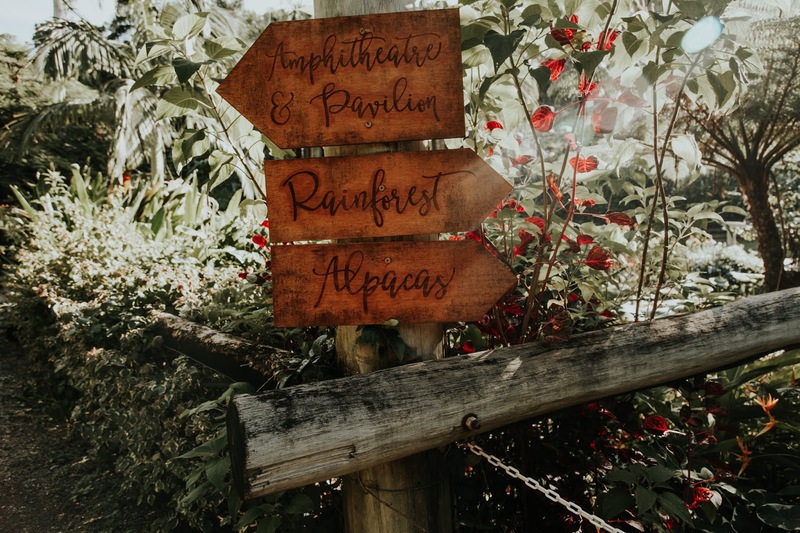 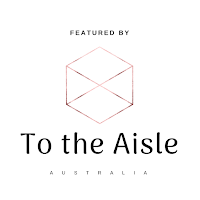 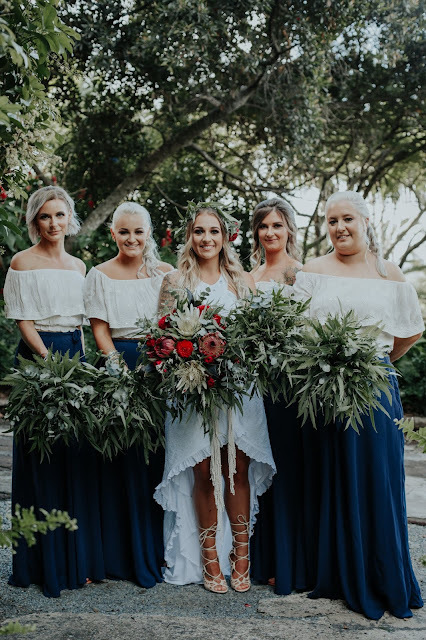 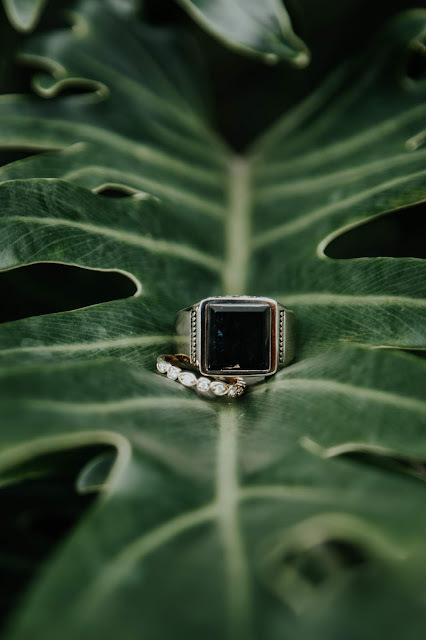 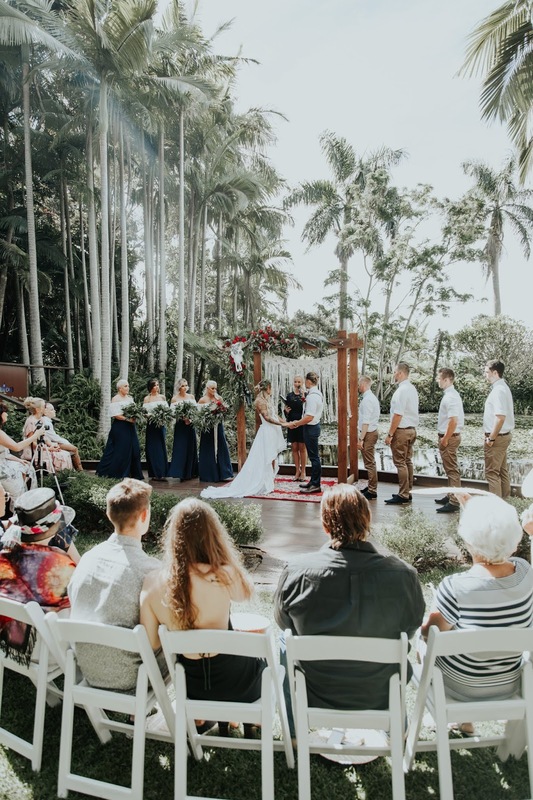 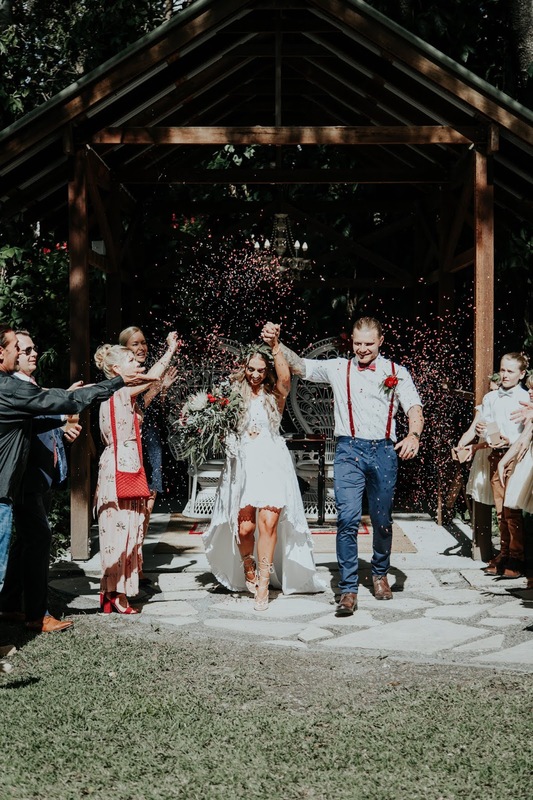 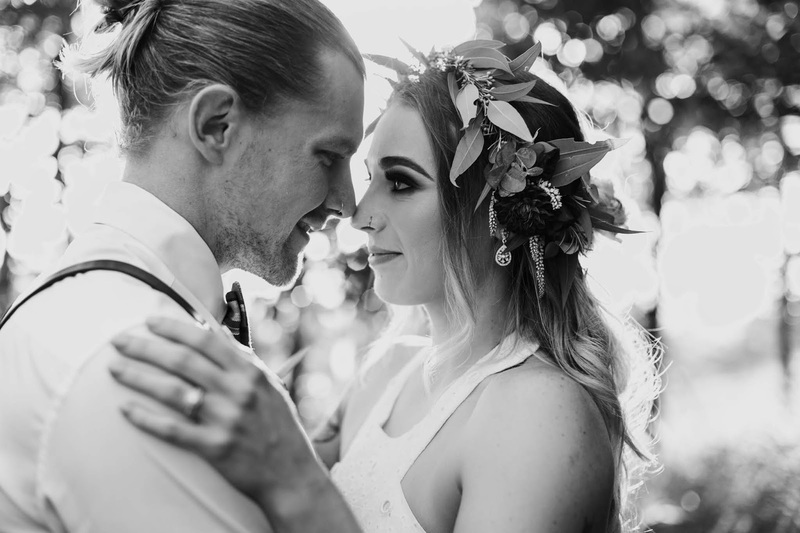 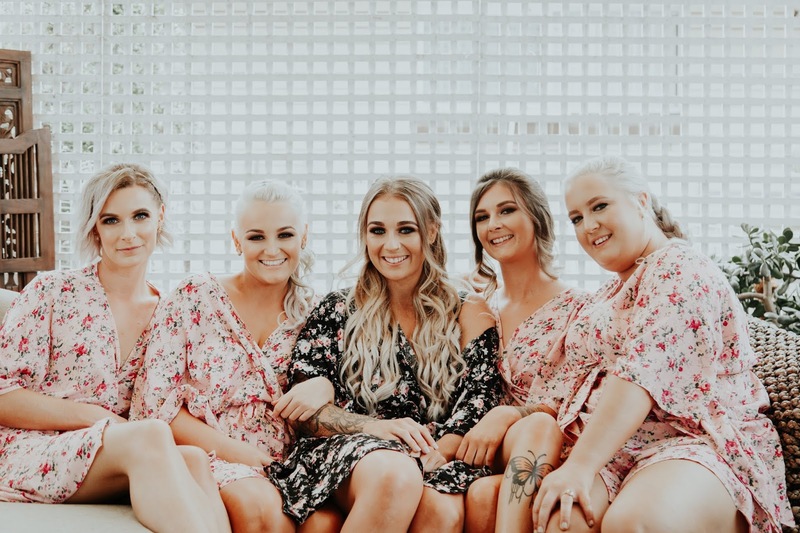 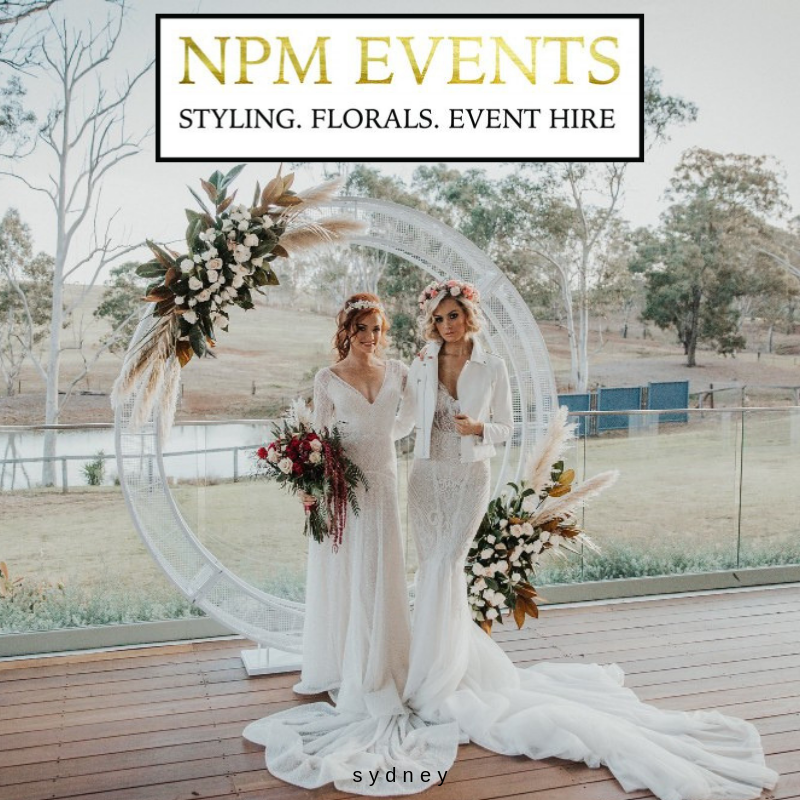 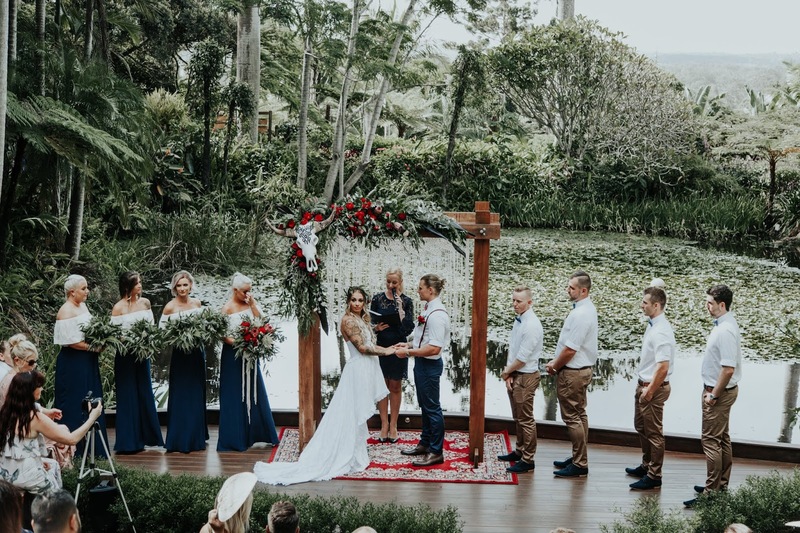 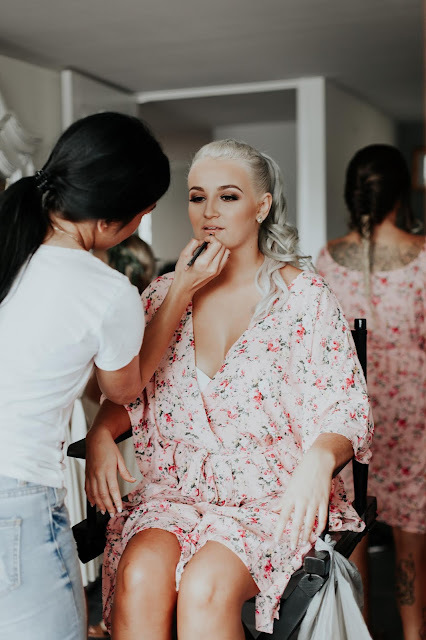 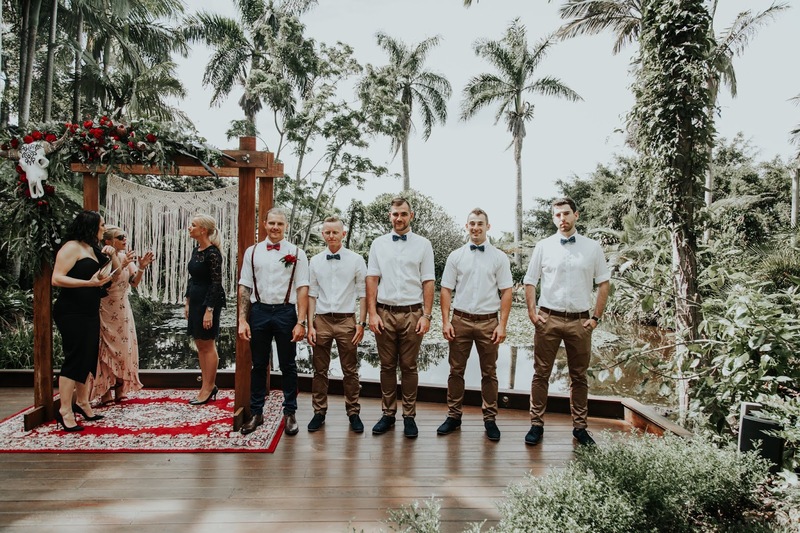 The stunning gardens, ponds and trickling waterfall of Rainforest Gardens were how they knew the minute they stepped foot into the venue that it was perfect for them. 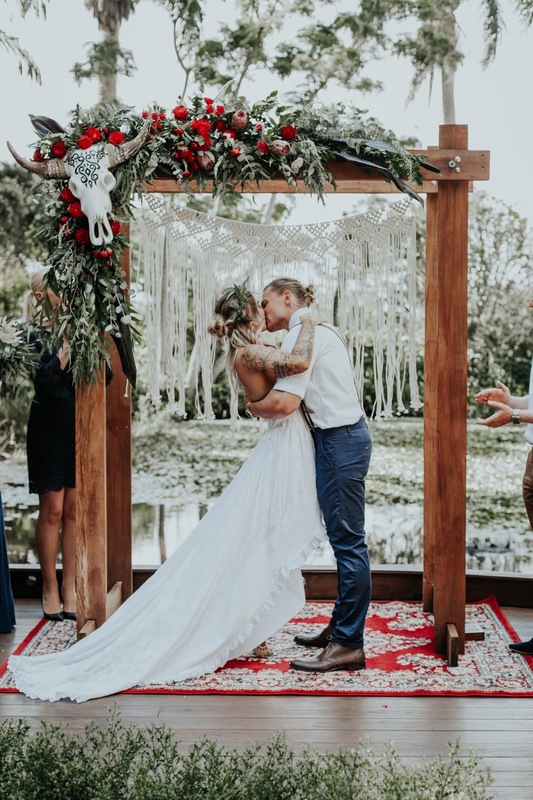 As lovers of the outdoors and wanting a nature setting, it was truly their dream location. 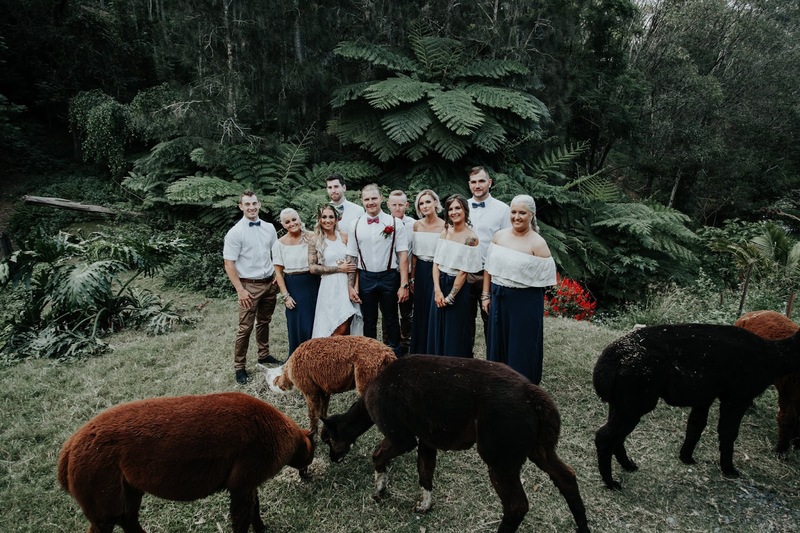 Not to mention they have alpacas “which was the main selling point!” Emily tells. 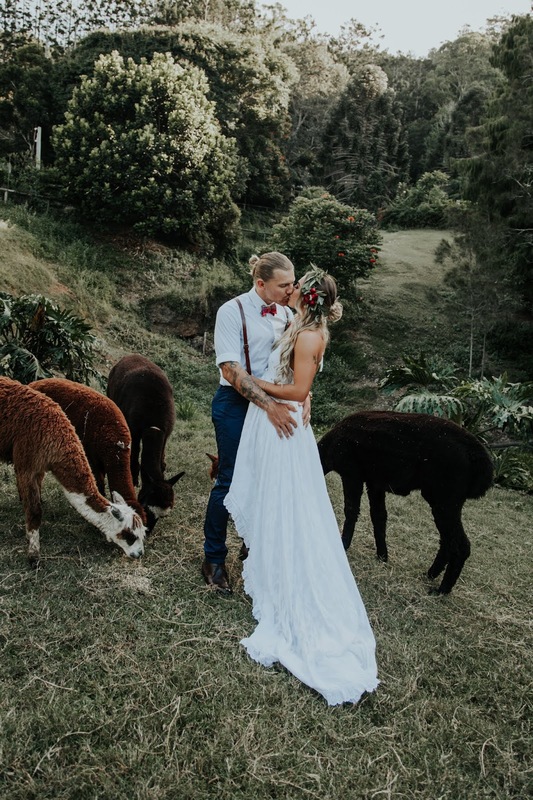 They fell in love with the animals, the gardens and the views - overall it was the perfect relaxed setting! 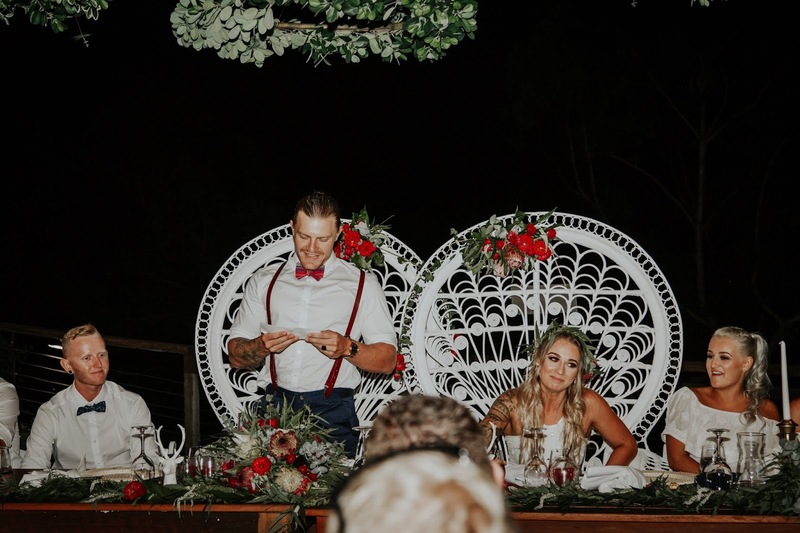 "We both loved absolutely everything and we wouldn’t have changed a thing but if I had to pick my favourite detail of they day, it would be my arbour. 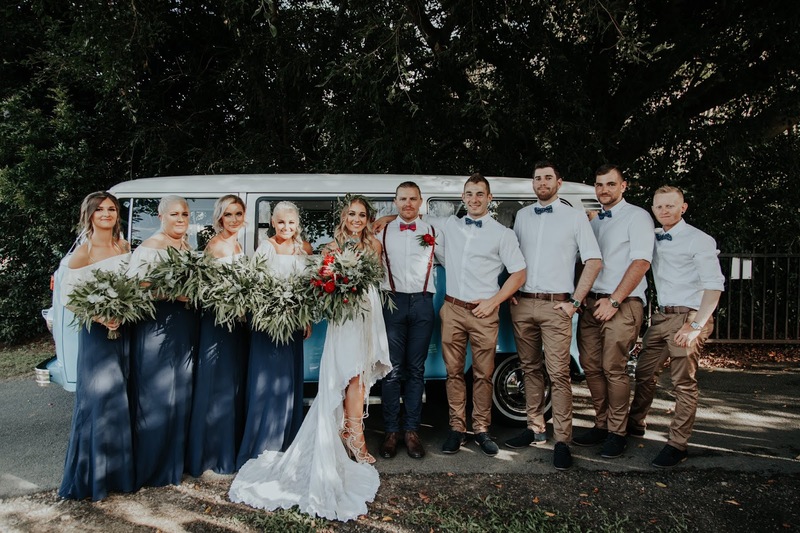 Thanks to the Rainforest Gardens Florist, Belinda who did an amazing job at putting it all together for us. 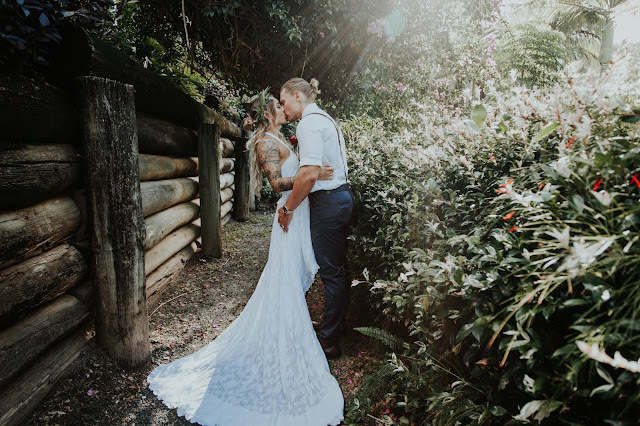 And what a perfect place it was to have our first kiss as husband and wife! 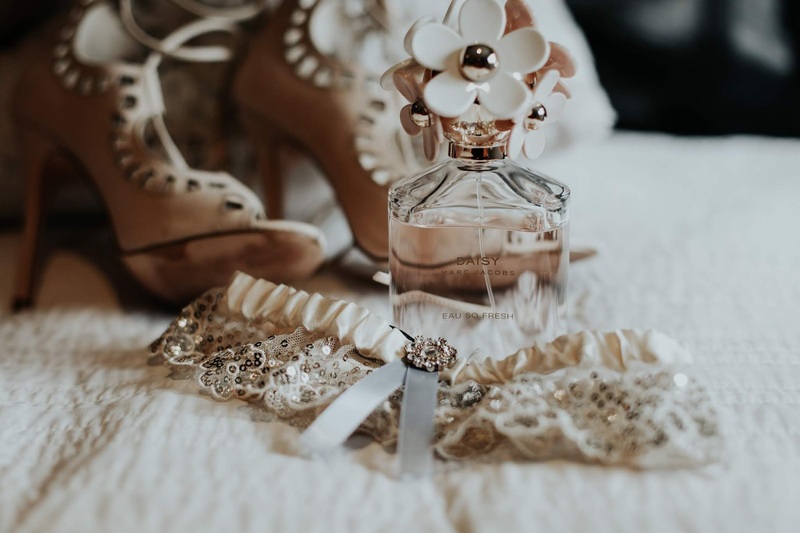 Shopping for my perfect Wedding dress was not a problem at all for me. 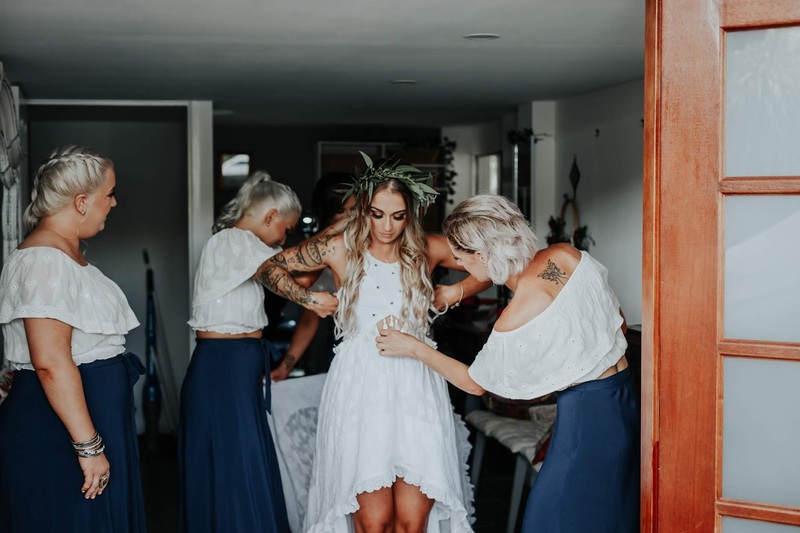 In fact, my dress was the first and only dress I tried on. 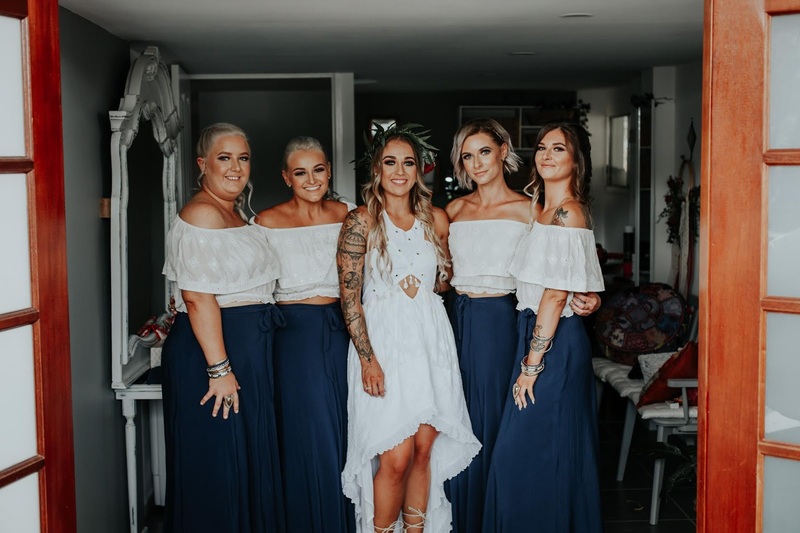 I looked in a dress shop once and the dresses I saw would never have been my style. 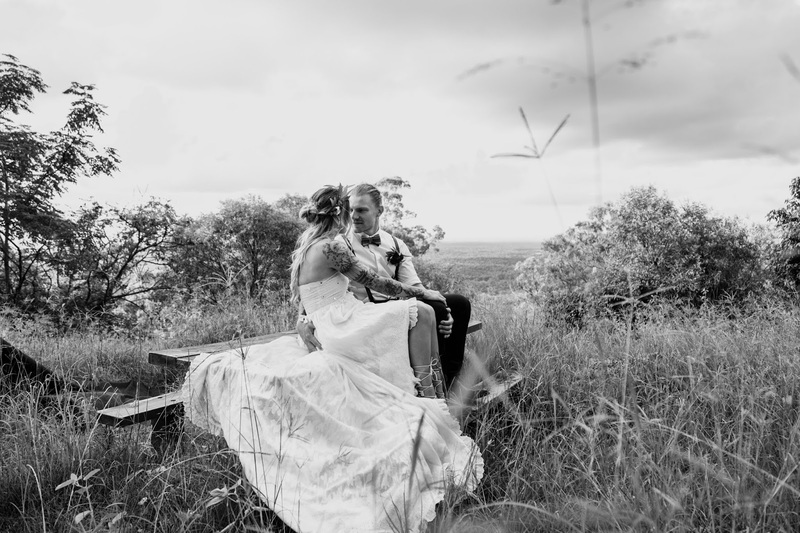 I actually found my dress on gumtree a year and a half before our day, never changed my mind I loved it! 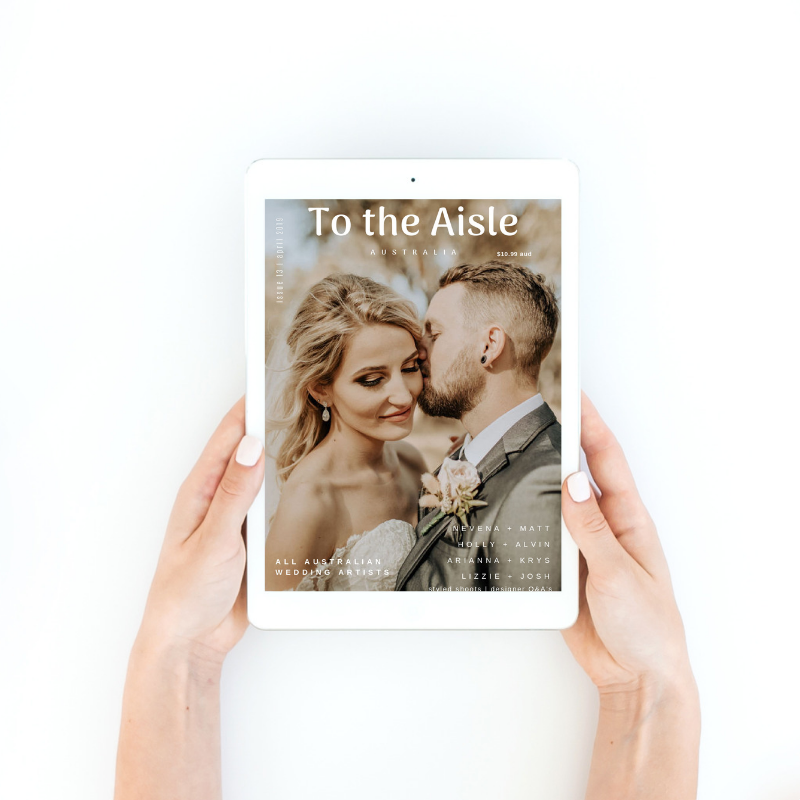 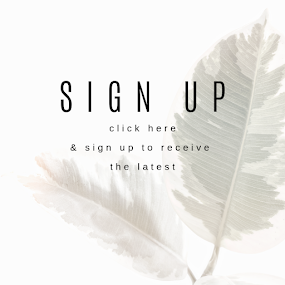 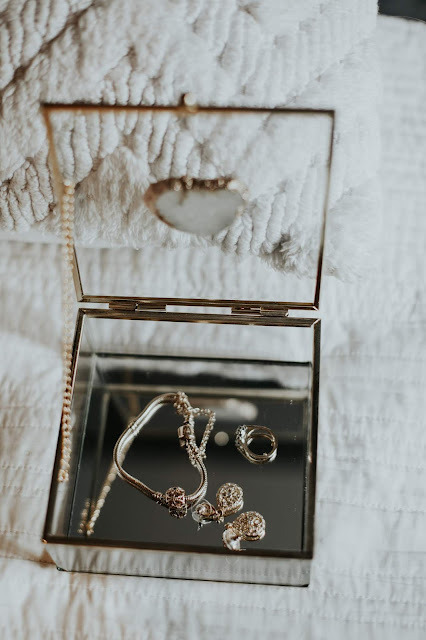 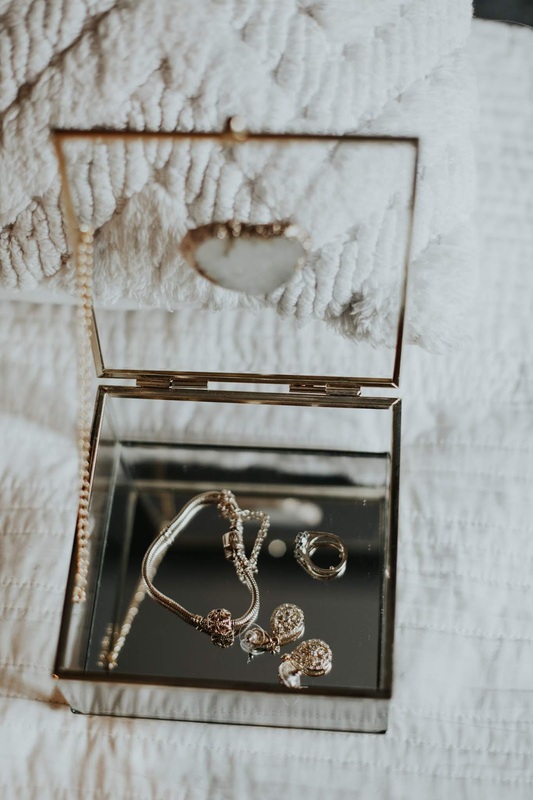 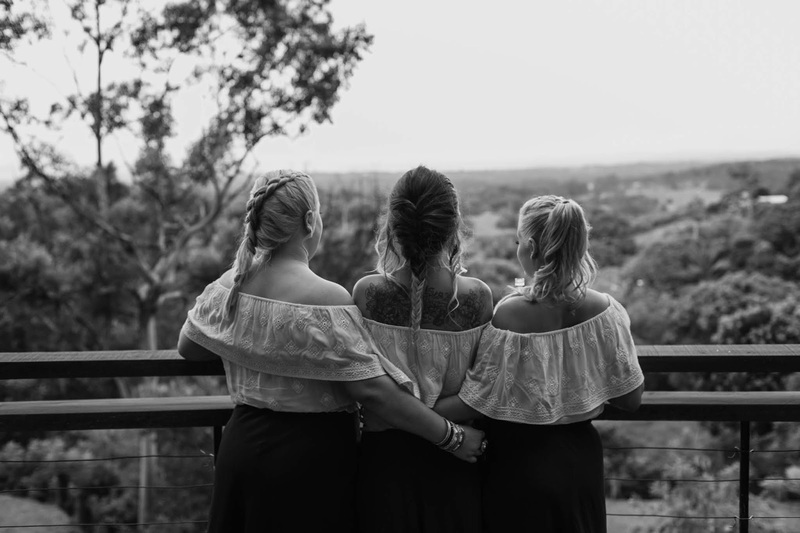 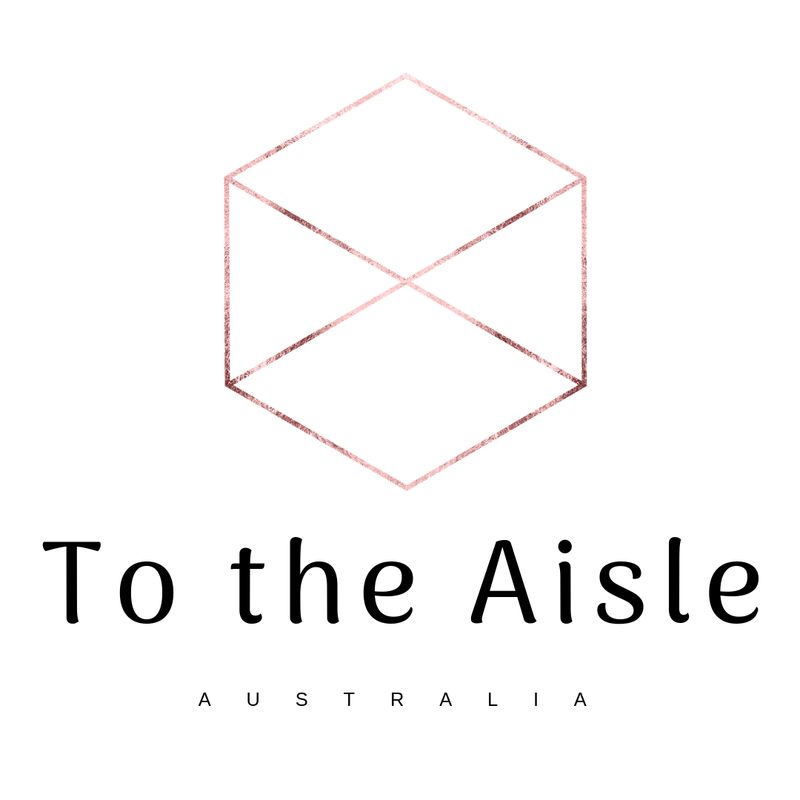 If I could offer any advice to couples planning their own Wedding - Do you! 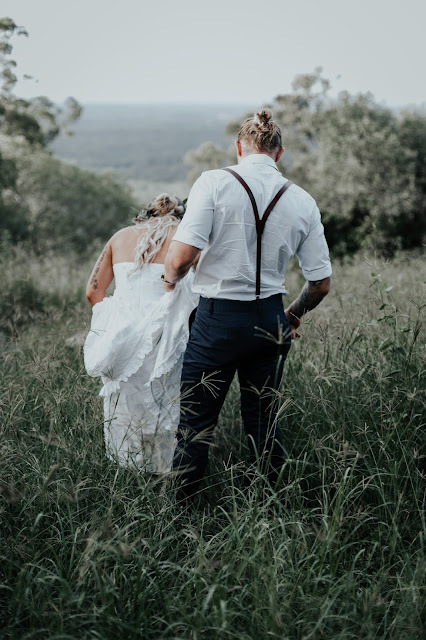 At the end of the day it’s your wedding not everyone else’s. 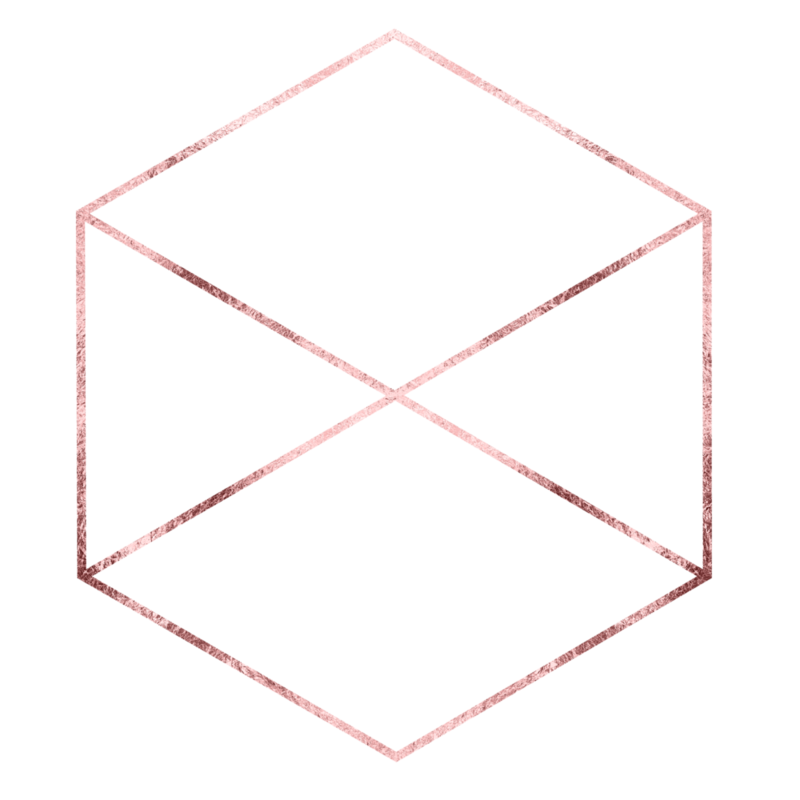 Slow it down with quiet breathing and relax. You want to enjoy every minute because it can go fast. 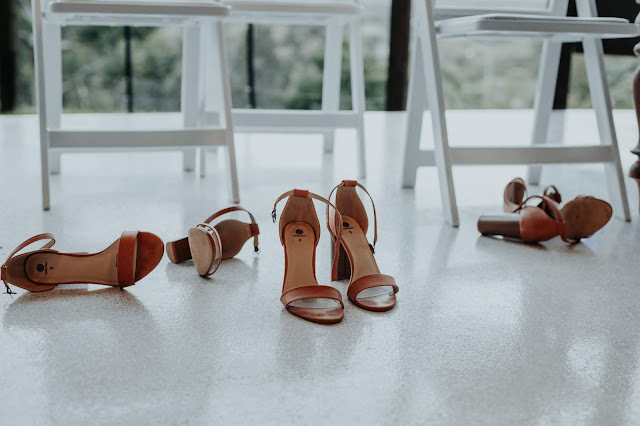 Also make sure the heels come off at night and dance the night away. 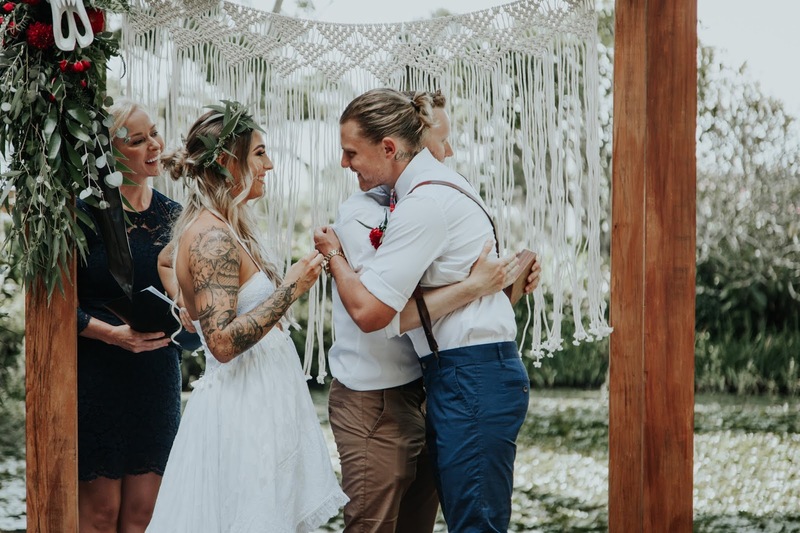 One of my favourite moments from the day would definitely have to be our first dance. 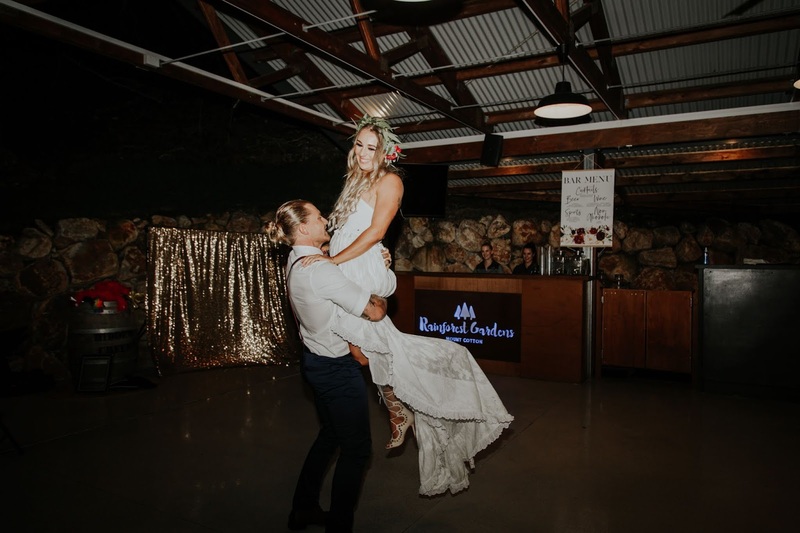 After the day being so busy, you can relax , be in the moment, have a bit of fun and just dance as husband and wife. 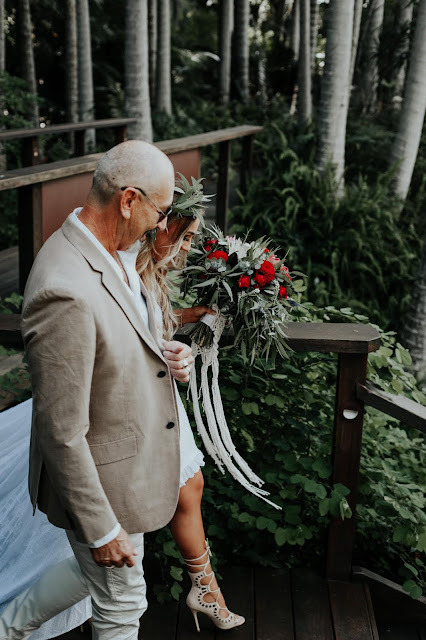 Also having my dad by my side walking me down the aisle was pretty special too.